The classic crew neck longsleeve is available in many stylish colours such as black, white, red, blue, ruby, purple. The smooth flowing stretch viscose material is easy to care for, soft and very comfortable to wear. 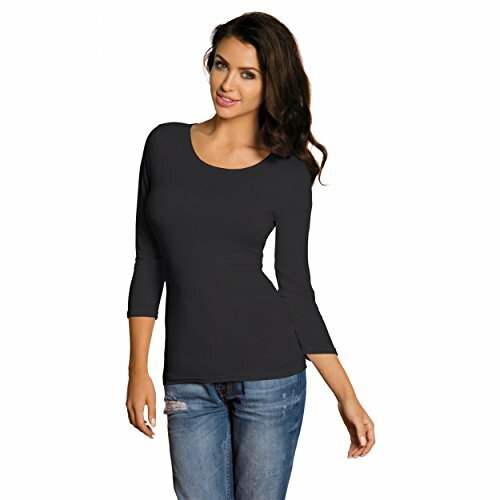 This basic women's t-shirt fits like a second skin and offers plenty of freedom of movement and comfortable to wear for years to come. Perfect for over and under layer to wear.